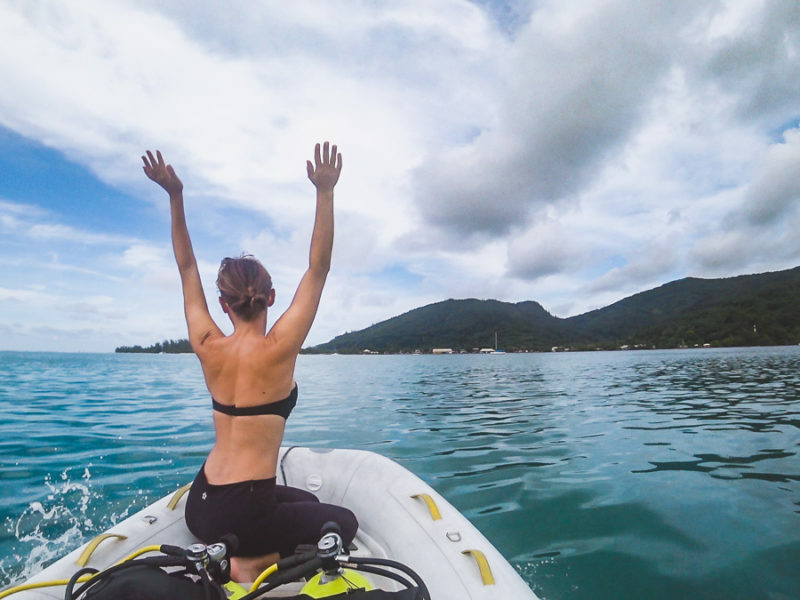 We were a tad sentimental as we pulled up the anchor and said goodbye to our new friends at Munjack Cay, but we were also intrigued and excited about our next destination. Not even a hop, skip or jump away lies No Name Cay, an island rumored to be overrun by some wire-haired hooligans. I’m not entirely sure why someone would bring a bunch of pigs over to an uninhibited island and drop them off. But then again, why not?! 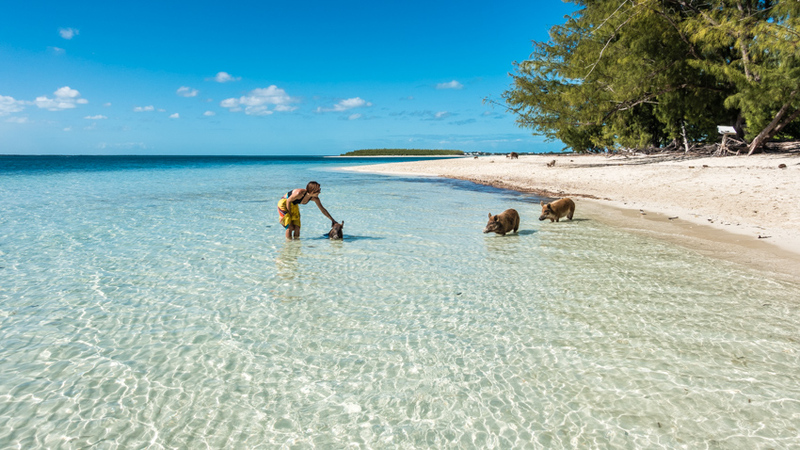 Pigs basking in the sun, swimming for fun and rolling in the sand instead of mud…who doesn’t want to see that! We’ve heard all about the swimming pigs in the Exumas but didn’t expect to see them in the Abacos. So, it was a welcome surprise to learn there’s a family of pigs living at No Name Cay (AKA Piggyville). We didn’t bring any food to the pigs if you are wondering. There was no way I was giving up any of my hard-to-come-by-high-priced fruits and veggies. No matter how cute those little pigs were. Plus, seems they were getting their fill of Doritos from the other tourists. Doritos are part of the pig food pyramid, right? Directly under Twinkies I believe. Piggyville was our hangout while we caught up on work and attempted to gain “local knowledge” about Whale Cay passage. 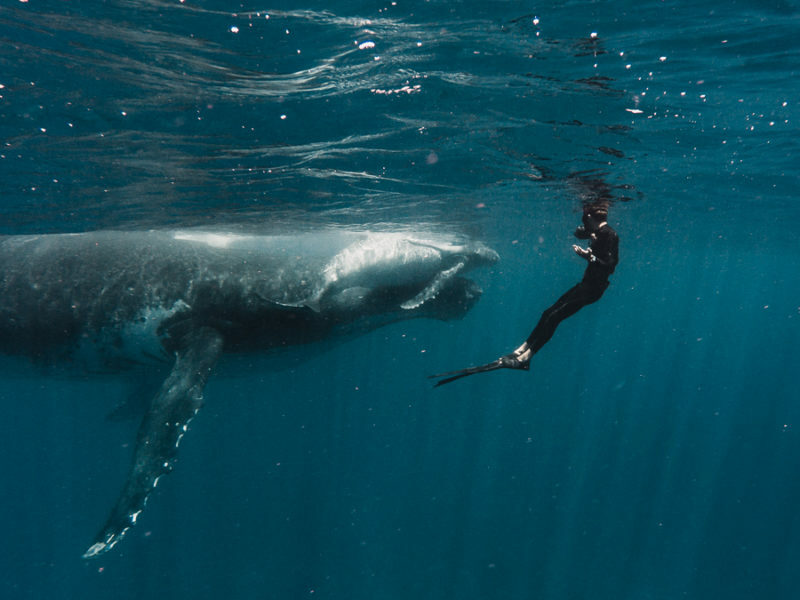 It’s funny how everything we read, and the people we talked to, would say “don’t even think about going through The Whale without local knowledge” yet, we couldn’t seem to get any local knowledge. We checked all the known sources like Barometer Bob and the cruiser’s net, yet no one was reporting anything on The Whale. Just a head’s up: We couldn’t pick up the daily cruiser’s net on our radio, so we had to login to their website to listen after the broadcast. Looking back at Whale Cay. So, we figured we would go stick our nose out there and see what’s going on. The idea being, go check it out and if we don’t like what we see, we can turn and drop the hook at Whale Cay. Also, it doesn’t take a lot of critical thinking to deduce there are optimal conditions to take on any pass or outlet headed to sea. A little common sense along with checking the tides, wind direction, wind speeds and swell periods can tell you a lot about the potential for a rage sea. Whale Cay Passage separates green turtle from the other major cays and Marsh Harbor to the south. 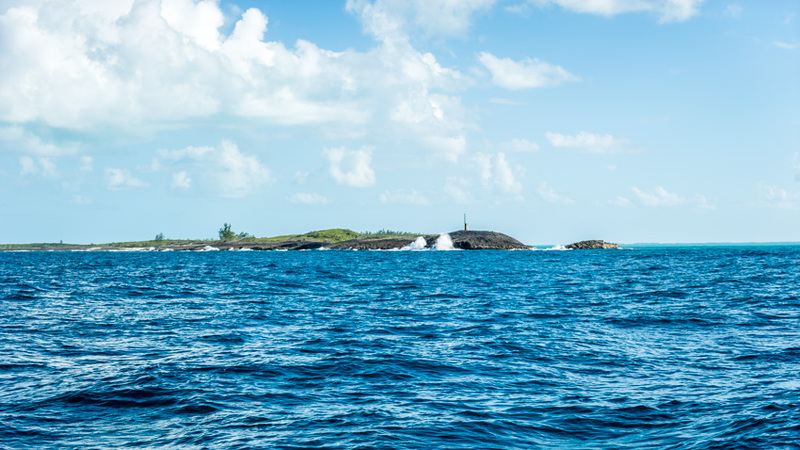 There is shoaling on the inside of Whale Cay that makes it too shallow for us to pass through, otherwise we’d simply stay in the sea of Abaco. This means we must head out into the ocean, go around the small island and then back into shallow water. During times of heavy off shore winds and swells this pass can become treacherous, even deadly. They call it the Abaco Rage. We are learning that there seems to be a lot of fuss and heavy warnings over things like cuts and passages…and all things sailing really. Reading certain reviews and guide books would scare anyone into thinking they are taking on something way above their limit. When we tuned into the cruisers net they claimed sailing in the Sea of Abaco was uncomfortable and “rolly”, even dangerous advising people to travel slow and take it easy. You can see in the video how calm the Sea of Abaco was that day, shoot I wouldn’t of even call the ocean side uncomfortable! Listening to the Cruiser’s net only made our anxiety about crossing through the Whale even worse. We are a society that puts life threatening warning labels on everything (i.e. don’t put the blow dryer in the bathtub, do not remove this mattress tag) which always seems a little over the top. But, in reality the fuss and warnings are there because for whatever reason, sometimes we humans simply forget to think. Don’t get me wrong, I realize the sea can be scary and things can get gnarly but that is the point. A little thinking, research, planning and patients will go a long way in any lifestyle. I’m not saying we have it all figured out or that we won’t screw up (we do and will continue to). It’s more of a self-reminder that crap happens when we stop thinking, stop paying attention, get lazy or in a hurry. So, as long as we are taking the time to think about the situation, we shouldn’t overthink things or let “warning labels” scare us or keep us from moving forward. Ok, enough of me on a soap box, I’m stepping down. Now that we’ve managed to safely make it to Marsh Harbor, we’re excited to see a little more civilization. Hopefully we’ll find a good grocery store and restock our fridge. 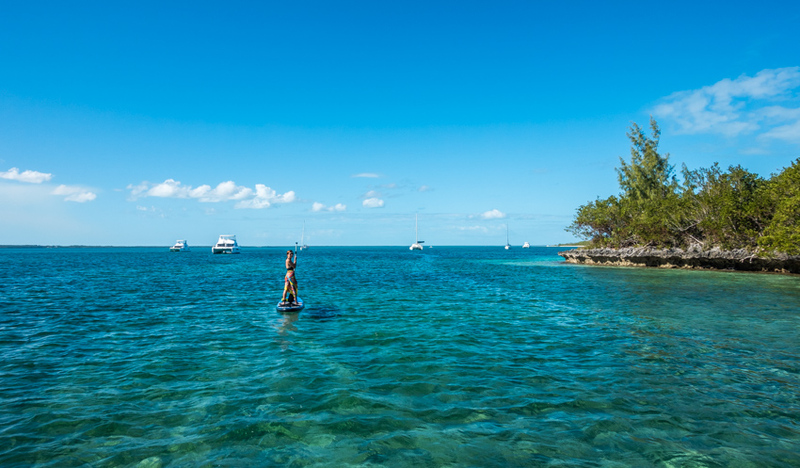 Then, it’s off to explore as much as we can with our last few days before making the trek back to the West End of Grand Bahama to meet up with family. One last note…thanks for reading and watching. You are now a part of our journey and we as so glad to have you along. Now, put down the gadget you are reading this on and go do something exciting, you deserve it! Whoa! Stunning photos guys! Too bad the pigs are stuck with junk food, but I’m sure they don’t mind the sugar rush. 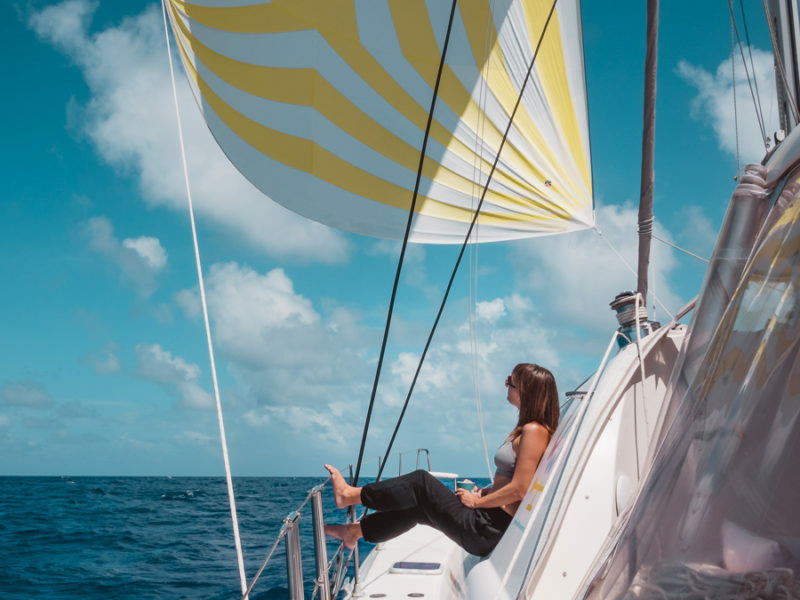 Now that’s my idea of a perfect day – all day in your swim suit and having some ice-cream on a sailboat in the Bahamas!!! 🙂 Those pigs were sooooo cute!! I’m a little jelly right now! Our weather here in Colorado which is usually so awesome, has been gray and rainy for quite a while now. We specialize in bright blue skies, but not at the moment. Never mind, it is all filling up my lakes for boating in the summer. So, I love seeing the warm, blue skies and turquois seas. Sigh. So funny I thought the same thing about you getting on your sup. Love your videos always get excited when your next one comes along. Thanks for sharing. Loving living the life vicariously again, thanks for doing such a great job on the videos too! You guys (and Nikki) are learning the ways of the sea. You also should know by now that especially in or near America everything is driven by fear of liability. This extends to everything that happens, even merely giving advise. I’ve sailed most of my life and I’m still onboard my Lagoon. I’m advising you now under penalty of being liable….go on and do it, whatever it is. Do your due diligence, use your common sense and if you find reliable local knowledge add that into the mix. But just do it. Where the sea is concerned, you can 98% of the time turn back if something ain’t right. 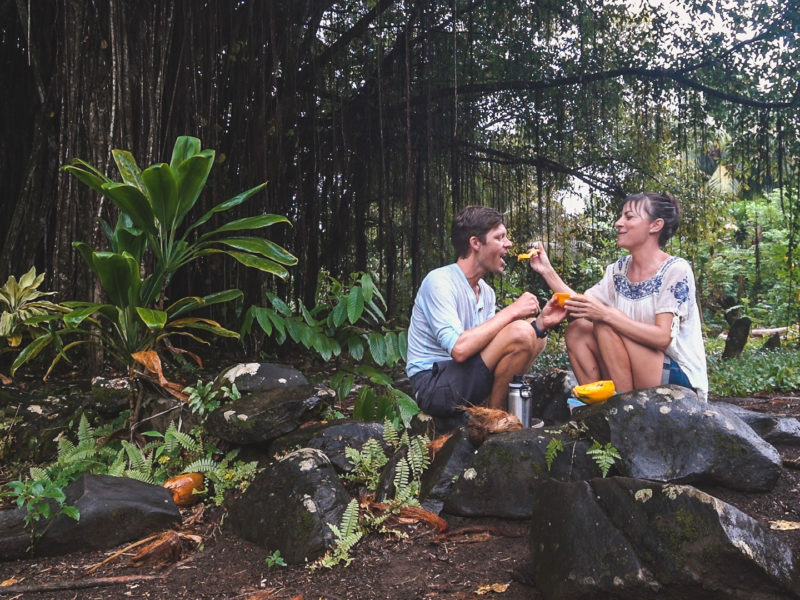 So please…go ahead and explore. Leave the naysayers and fearmongers in your wake. That’s why you’re out here anyway…right? Here piggy piggy..sooey lol. All they wanted was food. Nikki your wardrobe is outstanding but where do you keep all those clothes on the boat? I even wonder how you stored them all in the rv. Jason you’re right you’re not stupid. Loving these sailing adventures. Until next time, Enjoy! Thanks for your inspiration to do more and to see more! Do you have longer range (4-6 month) sailing plans? Please stay safe out there, love the furry crew members as well!!!!! Pigs are the progeny of shipwrecks. Sail the bank islands of Canada some day and you will find horses that are progeny of shipwrecks also. Sure miss your RV adventures and more frequent posts…yeah Wifi towers slightly lacking at sea! Ha But good to see you both having a good time! 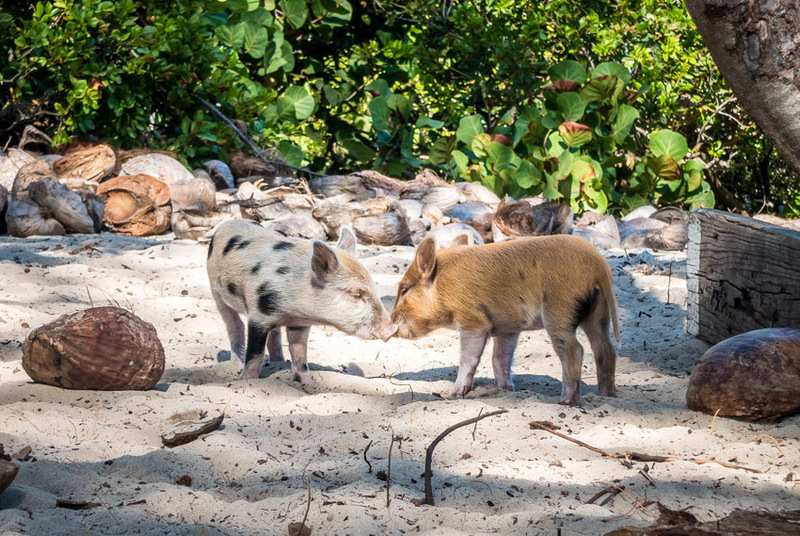 Maybe someone took the pigs to an uninhibited island because they were naked and didn’t mind…=-O ;-). Enjoy watching your travels more and more – thank you and please have a safe and wonderful 2017!! Love your rant about the undue warnings and fear mongering that goes on too readily that lack the context that make the warnings and fear honest and relevant. Maybe it comes down to one negative review or experience carrying more weight than twenty positive ones. If you have the proper context you can predict what will lead to a negative outcome or ensure a positive one… separate hysteria from good common sense. Another great video, enjoyed the sailing. I think the map broke. Shows your route, but no actual map below it. Nevermind. Just a glitch. I have to uncheck “labels” on sat view in order for the map to show up properly. Thanks for taking us to Piggyville with you. Now we can knock that off our bucket list too. One little video clip I wish you had not edited out was getting on your SUP’s. You both make it look so easy to paddle around on them but actually getting both feet on is (for me) hard. How do you do it without ever getting wet?